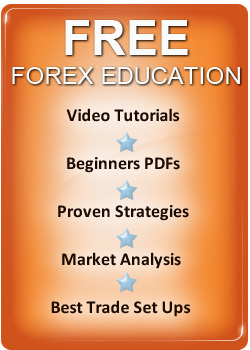 Here we will look at FOREX seminars and how they can help you become a better and more successful trader. By being in the same room as a great trader can help many traders learn FOREX quicker and also, if the seminar is with a successful trader give them the opportunity to get advice from a real trader and be able to ask questions. Before we look at the best trading seminars, if you would like to know more about ours, our course or our individual mentoring service, simply join our mailing list and we will forward you details of our up and coming events. A currency trading seminar is a chance, to interact on a far more social level than a webinar and while the webinar has risen dramatically in popularity nothing in my view, beats human interaction. So what are the best seminars and ones to avoid? Let's take a look at where to get the best education. Normally a complete waste of time unless, they have guest speakers who are independent and successful traders. The reason for this is most broker seminars either just give you trading advice you already know like - cut your losses and run your profits, with no real insight on how to do it or give you advice which will see you lose like - how to use strategies that don't work like how to day trade and scalp the markets successfully but as you will read in other areas of this site, day trading strategies and making money are a not compatible - its a losers strategy. Brokers are interested in getting you excited about trading and they want you to trade as frequently as possible - after all its more money for them so don't expect to learn anything of interest. These seminars are normally free and designed to excite you to buy a course mentoring or paid for seminar from a guru who will tell you, that he has found the secret of trading success which can make anyone rich ( which of course no one else has found) and you will learn nothing of interest or value in terms of advice given. You could of course pay for the service which the seminar is warming you up for but don't expect training which will make you a profitable trader. There are many of these types of seminars and they come from marketing organisations and the person has never traded. You get a lot of these and they cost thousands to attend but what is an advanced trading seminar? Its a well known fact the best currency trading techniques are simple so what's the point of learning advanced trading strategies? There is no point, they don't work and the word advanced is just used, to charge more money from naïve traders or beginners. You get to go along and not only hear a trader talk and give you lessons, he will also trade in real time while your their - sounds good? No its a ridiculous idea. The reason why is the best FOREX traders are only trading when the RIGHT trade set ups are present and there not everyday! In fact, many of the world's best traders don't even trade every week. These seminars are normally organized by marketing companies, who want to sell the concept of day trading or scalping which is a losers strategy. Avoid these seminars in terms of learning how to trade Foreign exchange correctly - you will learn nothing to help you achieve long term success. You will find seminars from traders who have traded and are known within the trading community and will give you the best currency trading advice. These seminars will normally focus on techniques used by the traders, the importance of trader psychology, some insight into there trading career and what they have learned and a question and answer session. Check out the trader and what they have to speak about before attending and if you do your research, you can find plenty of good seminars to attend. If you find the right ones, you will be able to get advice without hype and meet, a real trader who will give you some valuable trading lessons, you can apply in your own trading strategy. There are of course, seminars you can attend all over the world and the US has the most but London is now seeing more trading seminars and we do them regularly. In terms of our seminars, there designed to focus on the fact that simple trading methods work best and teach you the tools and techniques, we use for profit and show you how to apply them in your own trading strategy. Our main focus though is on developing a winning psychology. The facts show, the ratio of winning traders to losing traders is also constant which leads to the obvious conclusion that, a trading method to make long term profits needs to be applied with the right mindset. Your mindset is the key to success in foreign currency trading and in life. All our FOREX trainers, have degrees in psychology. Success comes from within you - all the techniques and tools you need to win are easy to learn, its simply a question of getting the right mindset to apply them in the right way so they make profits. FX Training and Education for Success.